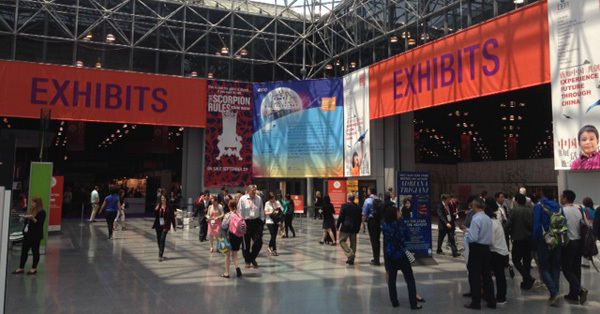 Book Expo America (or BEA for short) is one of the biggest book conventions out there. Everybody in the industry can attend, sellers, publishers, editors, authors, and even bloggers. Which is how I managed to sneak my way into the event for the fifth time in a row. This is actually quite possibly my last time attending BEA for a while as BEA is moving its convention all the way over to Chicago next year which makes it a bit more difficult for your truly to attend. So this is essentially the beginning of the end, and what an ending it was. We stayed at the Homewood Suites and it was probably the best experience we’ve had while staying at NY. Over the years we have stayed at hotels that looked nice on the outside, but the rooms were actually tiny on the inside (The ROW), and even on one occasion on one that didn’t have an elevator (worst mistake of my life–please if you are to attend the convention make sure your hotel has an elevator). Homewood Suites just hit every single note. Breakfast and dinner included*? Yes please! (actual eggs for breakfast, Canadian bacon, etc. Only missing thing were waffles). *Dinner was on certain days of the week. Updated bathroom with Neutrogena toiletries? I was in heaven. Basically it was the best experience ever, and all thanks to our friend, Hannah at The Irish Banana, who was gracious enough to not only recommend the hotel but to set up over 20 rooms for bloggers and authors combined. 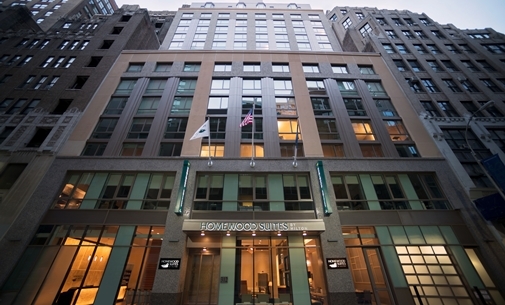 Homewood Suites is definitely the hotel to stay at when going to BEA, or any other conventions that are near or on the Javits Center. This year was particularly weird in that BEA changed their schedule. Usually you have two full days on the floor with the publishers, authors, etc. (from 9am-5:30ish pm) and then the third day is the half day (1pm-5:30ish). This year the half day came first and then the next two days were full days. This had both advantages and disadvantages. Advantage: You got to “sleep in” that first day/get to the Javits a little late and have breakfast. Disadvantage: Nobody got the memo of the advantage so everybody was doing a line starting at like 8:00am to get unto the floor, which means we weren’t in the front of the line as we usually would be. Once that clock hit 9 am it was like a stampede had entered BEA halls. People were running, pushing (possibly, I didn’t get pushed), tearing each other down in order to get to Macmillan’s booth. I may be exaggerating a tad, but let it be known that it was intense. We book lovers are a people of passion, and we aren’t afraid to show it. The rest of the day was way more mellow. Usually before BEA I make a schedule for myself of the books I really want and those I am willing to trade organs on the spot for, and overall I was able to get them all without having to give up one of my kidneys. The event itself was actually very well organized, changing things up for the better. In addition to the change in schedule they also changed the floor plan of the exhibit hall, moving the autograph line from one corner of the floor to the other. While this turned out to be my main workout for the week (power walking from autographing lines to booths) I concur that it was the best move for the show. Moving the autographing area made it possible for people to start lines early in a more organized way and made the left side of the exhibit hall (where most of the big publishing houses were situated) a less chaotic place. Two thumbs up! Is that Truthwitch by Susan Dennard you see there? Why yes it is. I came out of that marathon unscathed, and with the prize firmly clutched in my hands. But there were a lot more titles that had me buzzing during BEA, like Zeroes by Scott Westerfeld (his Uglies series is a hallmark of my teenage years), Becoming Darkness by Lindsay Brambles (Nazi Vampires? say no more), Shallow Graves by Jennifer Donnelly (a rich spoiled girl turned reporter that throws her society’s wishes for her to just marry in their faces? SCORE), Walk on Earth a Stranger by Rae Carson (from the author of The Girl of Fire and Thorns, about a young lady who can sense gold in the Gold Rush era? You had me at the cover)… Pretty much a lot of exciting titles are coming out soonish that you should definitely be made aware of. So if you click here it will take you to my BEA 2015 Pinterest Board which already has in it the titles that I snatched during the first day, with a link to their respecting Goodreads page. I will be adding titles as I keep recapping the days at BEA as well, so keep checking back! Overall BEA Grade: A, it may be nostalgia because this was my last BEA for a while since they are moving to Chicago next year but I cannot help but think this was one of the best years for the event overall. Good changes, if only they had come a little earlier. Ah. Idk if I’ll go to BEA in Chicago next year but I have my fingers crossed that maybe it’ll happen. PS I love the layout of the new blog!